Almost all are of scenes in the Royal Mile or other parts of the Old Town of Edinburgh. But for this view he has travelled about half a mile to the north to Castle Street. 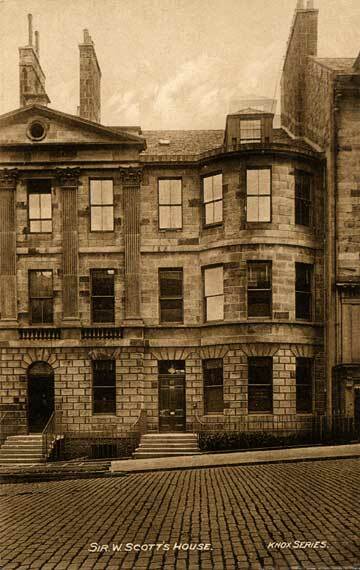 Sir Walter Scott's house in North Castle Street is across the road from 38 North Castle Street, Edinburgh Photographic Society was based from 1892 until 1925.